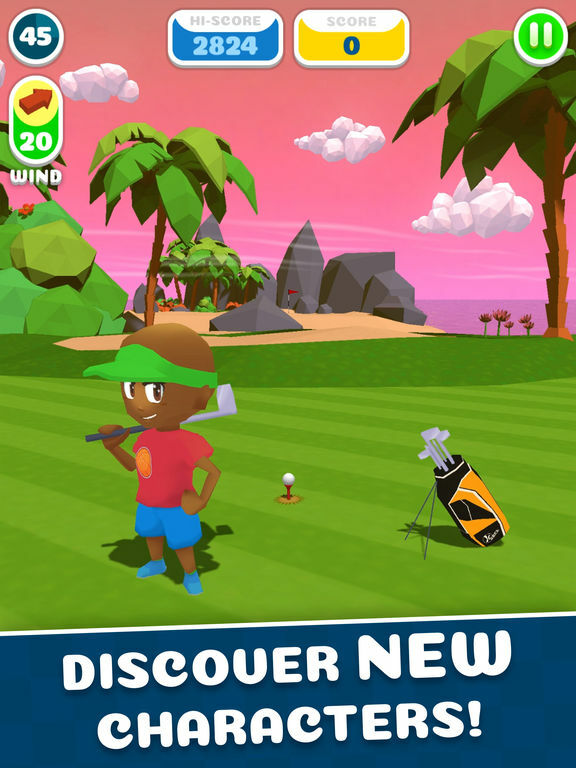 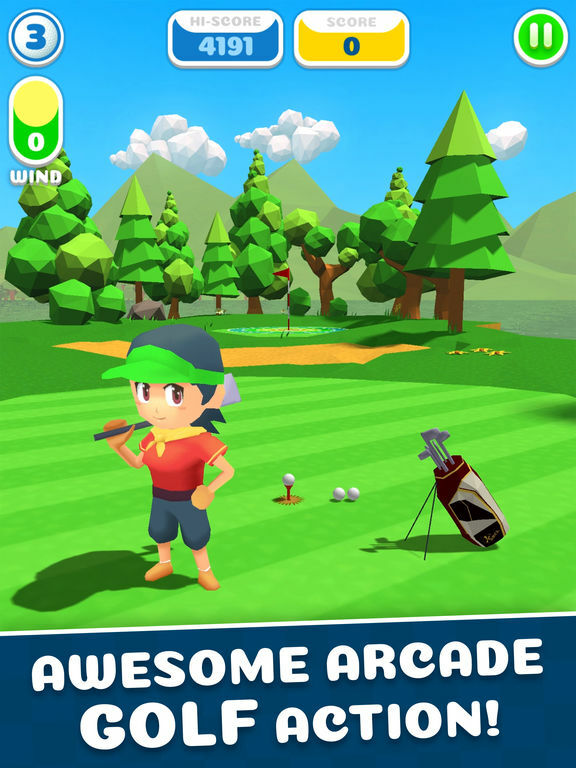 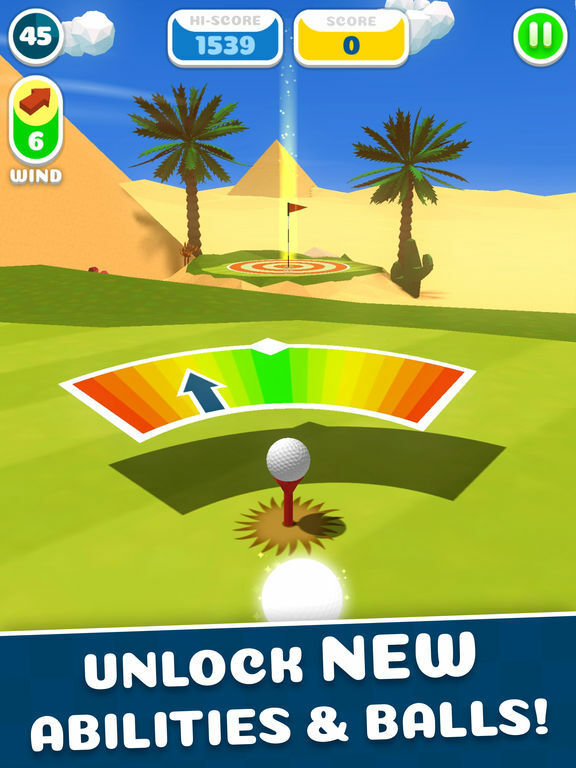 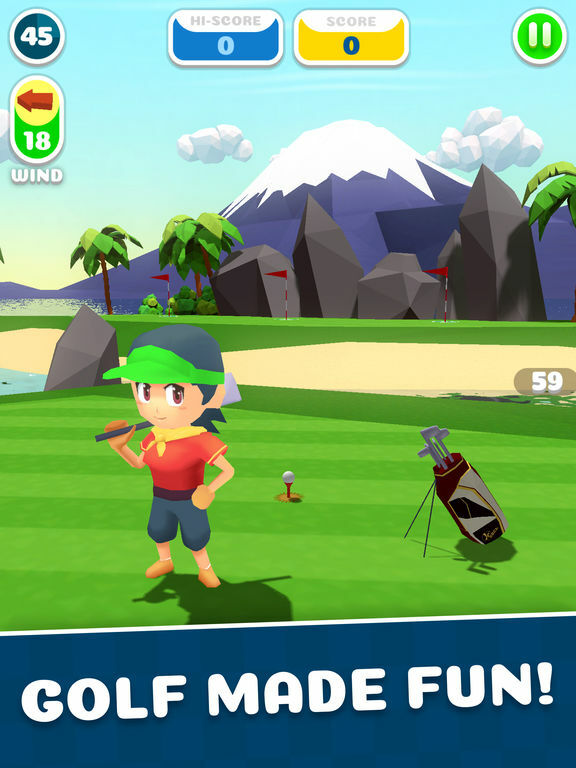 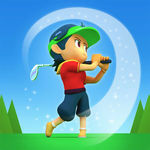 The arcade golf game you've been waiting for! 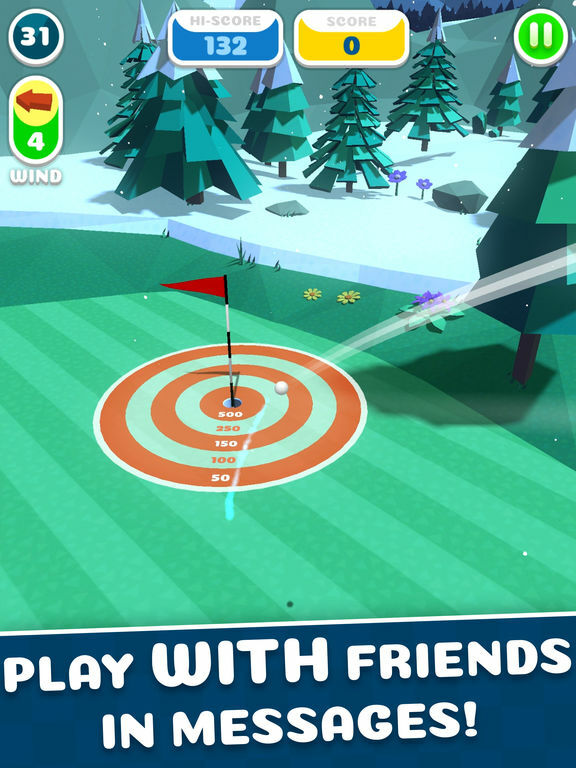 Pick a course to play, line up your shot, pull back and shoot for the hole! 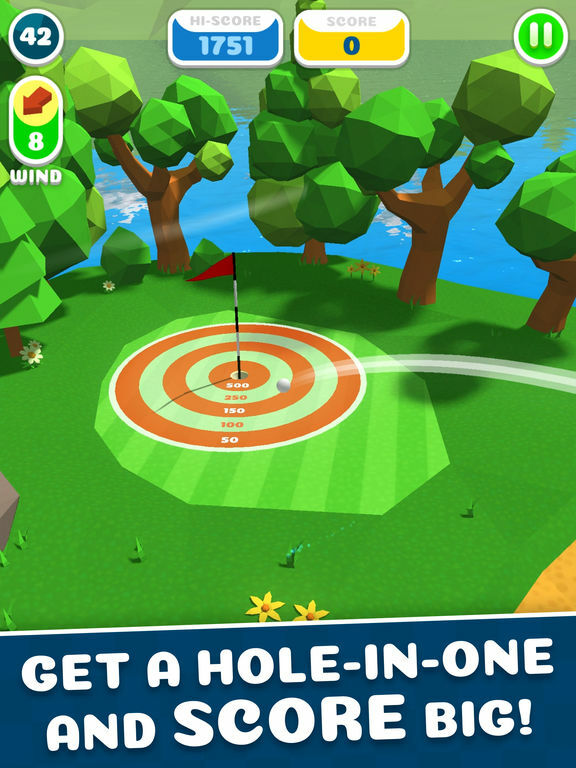 The closer you get to a hole-in-one, the more points you score! 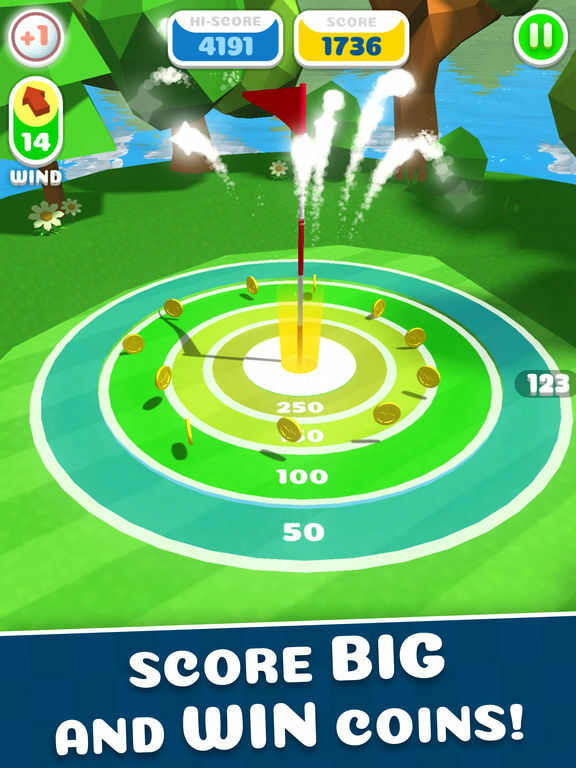 Score big to earn coins and challenge friends. 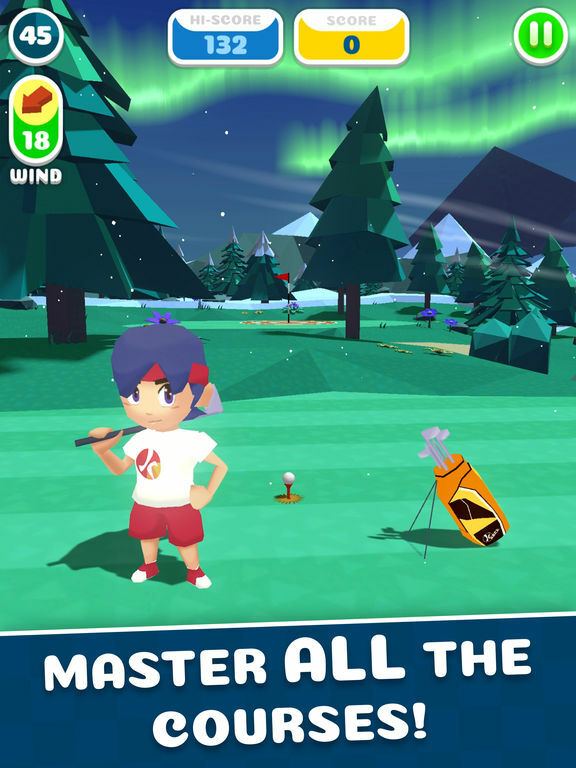 With awesome courses to play and a host of characters to unlock there's always something to play for.